Attempts were made to break into the hospital mortuary holding the body of Kim Jong-nam, according to Malaysian police. The country has refused to hand over the remains to North Korea until it is claimed by a family member. “We knew there were attempts by someone to break into the hospital mortuary. We had to take precautions. We will not allow anyone to tamper with the mortuary,” Malaysia's Police Chief Khalid Abu Bakar said at a press conference, as reported by the Malay Mail. Khalid would not identify the break-in suspects, but said they were known to police. The alleged break-in attempt comes after North Korea’s ambassador to Malaysia reportedly had his request to have the body returned to the country denied. North Korea claims the body is not that of Kim Jong-nam and that the Malaysian police cannot be trusted. Khalid said that two more people are wanted for questioning in relation to the incident – Kim Uk Il, an employee of North Korea’s state-owned airline Air Koryo, and Hyon Kwang Song, a second secretary at the embassy. "They've been called in for assistance. We hope the embassy will cooperate with us and allow us to interview them quickly or else we will compel them to come to us," Khalid told reporters according to Reuters. "We can't confirm that they are hiding in the embassy." 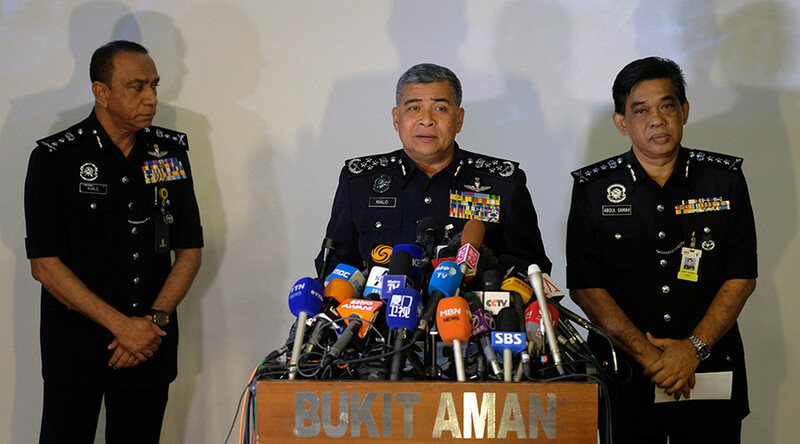 The announcement brings to eight the number of North Koreans linked to the death of Kim Jong-nam by Malaysian police, four of whom are believed to have returned to North Korea, according to Khalid. Footage of the alleged attack that killed Kim Jong-nam, half-brother of North Korea’s supreme leader Kim Jong-un, surfaced earlier in the week.